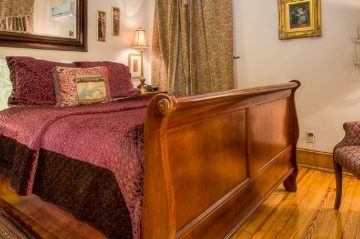 The Tiffany Suite features a queen-size Victorian mansion pillowtop bed, and a large private bathroom. 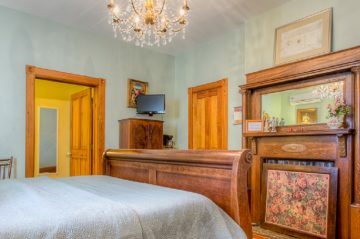 Our Key West style two-room Piccadilly Suite features a Victorian sunroom filled with light and a queen-size cherry sleigh bed. 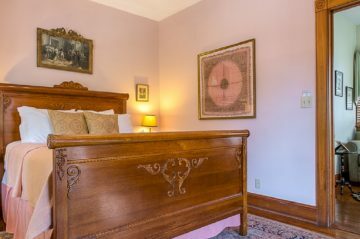 The Heirloom Suite, named after the delicate lavender colored rose, features a queen-size Victorian roll top bed and a private sunroom. 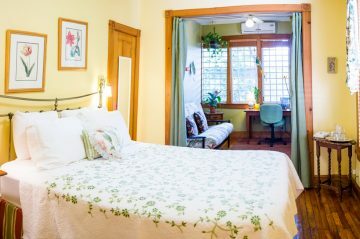 The Tea Rose Room features a mahogany king-size bed, classic Persian rug, Italian chandelier and spacious bathroom. 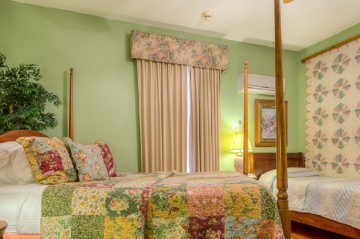 The Cornelia Room has a quilted maple queen-sized pencil post bed, a double bed, and a spacious walk-in shower. 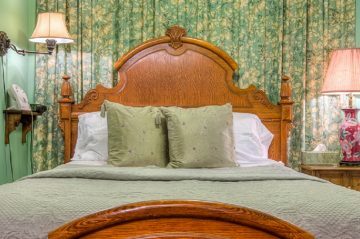 The Camelot Room faces the back courtyard area on the inn and features a queen-size sleigh bed and a large beveled glass armoire. 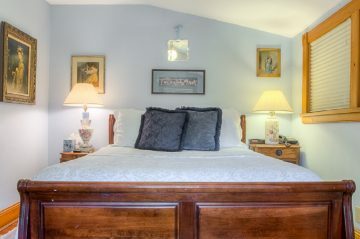 The Blue Moon Room’s low ceilings, sitting nook, and French Provincial queen-size bed will remind you of Grandma’s house.